Hi everyone! Today I am bringing you a fun little build I put together earlier today. 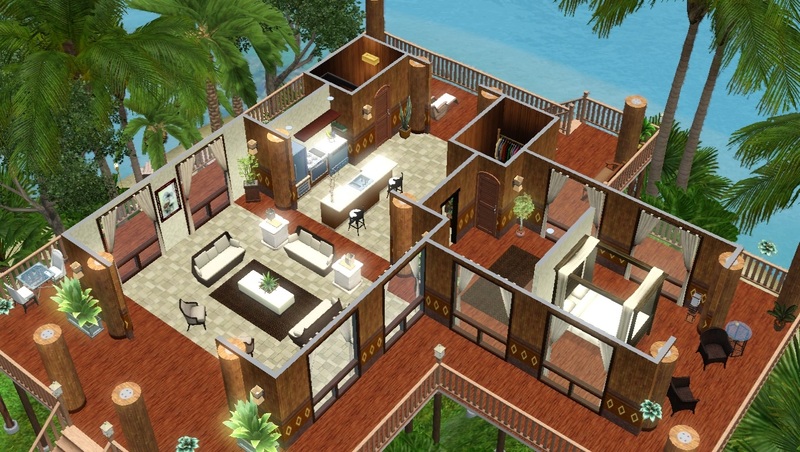 This is based on images I've seen of island homes and tropical residences in Fiji and Bali. I love the looks of these homes, with tall thatched roofs and open air rooms, and wanted to build one in my game. I built this home on the hidden island called Plumbob Island in Isla Paradiso. However, this lot will work just fine on any 64x64 size lot you place in the ocean. 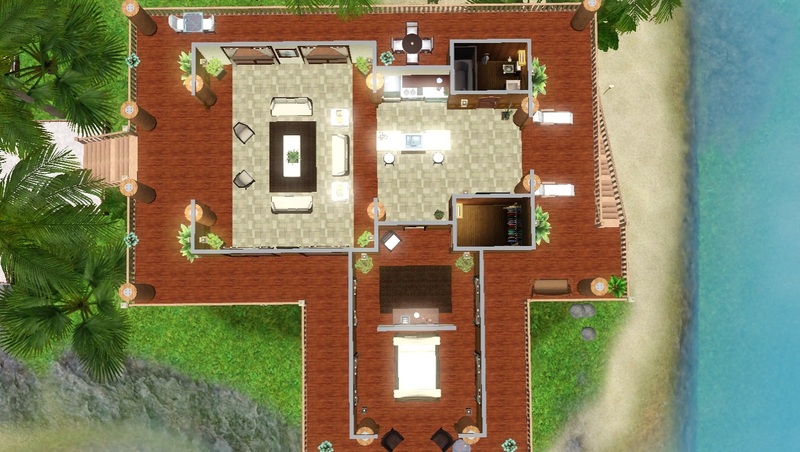 The layout is simple for this home, as it is only one bedroom and one bathroom with a connected kitchen and living room. There is a large wrap around porch around the entire home and the walls are open air to let the tropical breeze through. 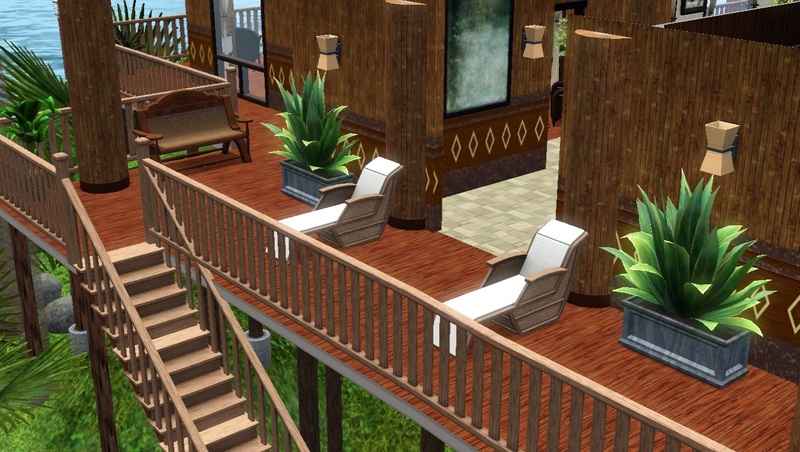 There is also a long swimming pool and hot tub for your Sims to dip into on a warm evening. 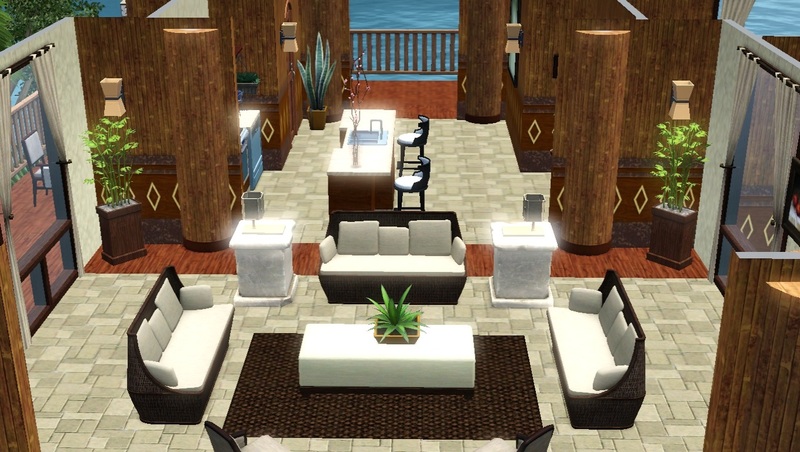 They can also relax on the beach under a cabana or take a swim for seashells or to advance their fishing skills. You may also note that there is no television in the home. You can add one if you wish, but I say if you live in a tropical environment with so many fun things to do around you, don't sit around watching television! Anyway! I really hope you enjoy this little island lot and have fun with it in your games! Happy Simming!